Casey and I are preparing for our first major trip without Kenny. We will be gone for four full days. I am sick in my stomach just thinking about it. Though I know that I will be fine and he will be fine, I feel as if I am scheduling an elective amputation of my right arm. Kenny and I are together all the time. 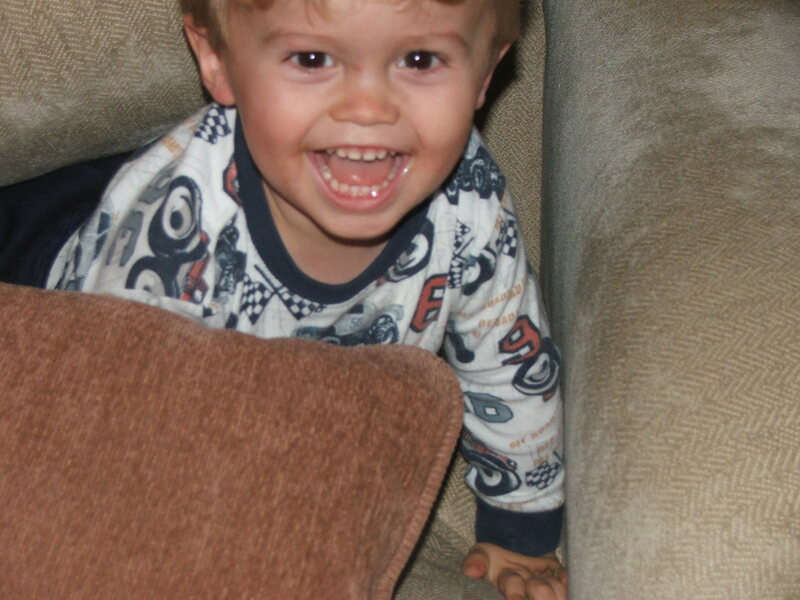 I can’t even imagine four days without his little face, his little voice and his endless questions and laughter. I know, I know… this had to happen sooner or later, and he’s two! But it doens’t stop the anxiety. We’re going to take the advice we got from Milaka and have a little something for him to open every day that we’re gone. I’m also going to tape up four pages on his wall with pictures of the days, so he can count the time until we’re back. He’s going to be FINE, I know. It’s me I’m worried about!! Sorry I forgot to come back and comment the other day when you first brought up your trip. I do recomment calling him because there is absolutely nothing cuter than hearing them talk over the telephone. And it will give him a chance to tell you the fun things he’s done that day. Have a wonderful trip!! All I can say is…it never get’s any easier. My first trip away from my baby, I cried the entire way there…it got to the point where my husband asked if I wanted to go home! !